If there is one thing I crave, it is Winger’s Sticky Fingers. 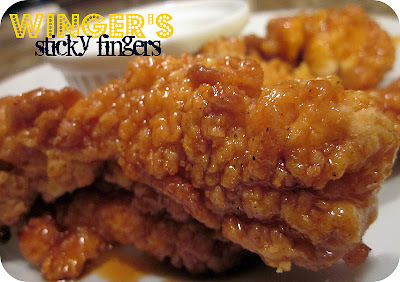 Winger’s is a restaurant in Utah, Idaho and a few other states and they are famous for their wings and sticky fingers. 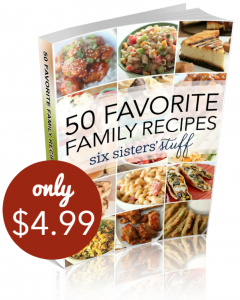 This has been a family favorite for a few years and we just can’t seem get enough of them! They are always a hit! My husband and I were cravin’ some sticky finger goodness last weekend so we got some take out and realized we like this copycat recipe more than the original! Prepare the chicken strips as directed on the back of the package. Heat hot sauce, water and brown sugar in a saucepan over medium heat, until sugar is dissolved. Gasp. I heart their chicken strips. Thanks so much for sharing. Will be trying sometime soon! just a heads up for everyone the brown sugar will crystalize i added a smidge of karo syrup still sweet and perfect the next day! To anonymous: I have this same recipe on my blog, and i've made it SEVERAL times and never had it crystallize. I usually even make extra sauce to keep in the fridge. Will it taste ok with the Buffalo wing sauce that Franks makes? I havent tried the regular sauce but i use the buffalo one for everything! I've never tried it with any other sauce, but if you like it I'm sure it will still taste so good! I've been waiting for this since I left Utah!! I'm so excited. Also,If you hear anything about Winger's special sauce, I'd love to have a recipe for that too! I am SO craving sticky fingers! But here in Germany is no Wingers! Glad I came across this recipe! There are 2 Wingers Locations in Germany. Hope you're close to one! I seriously considered an 8 hour drive to go there when I was pregnant with my first. They also sell the sauce and I would have family send it to me when we were stationed at Spangdahlem in Germany. Good luck! 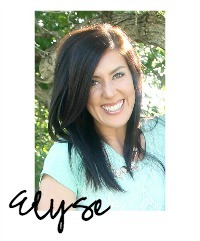 @ Alex and Melynda- concerning special suace: THANKYOU! I feel like a hole in my heart has been filled. lol. I'm making this right now- complete with the special dipping sauce. Will this come out kid friendly or too spicy? Can't wait to make this tonight! It was a little spicy, I just put a few chicken strips to the side before pouring the sauce over the rest of the chicken. It is a little spicy so I'll usually leave out a few pieces of chicken for my son and then pour sauce on the rest! I've made this several times over the years. I also add a tsp or so of karo syrup to it doesn't crystallize. For the kids, mine are 5,3, and 1, add a little ketchup and they are good to go. I think it makes the sauce a little sweeter and not so spicy. Never heard of this before I saw your post, but I'm so glad we tried it! Huge hit here. So so yummy! I made this for dinner tonight along with some potato skins and it was just like we were eating out! Thanks so much! Thank you so much! Ee've made these several times since I found it on pinterest and we LOVE them!!!! I can't wait to make these! We always go to Wingers for my birthday but this is our first year where there isn't one in the state! My grocery store carries Frank's Hot Sauce, but 4 different kinds, none of which are just plain "Frank's Hot Sauce". Recommendations? We usually use the Buffalo Wings Frank's Hot Sauce, but I'm sure they would all taste great! I found this recipe on Pinterest! Super yummy and easy to make! We had leftovers so for lunch the next day I put them in a wrap! The sticky fingers,lettuce(i used green leaf) some cheese and a little bit of ranch in a tortilla super yummy lunch! Oh I hadn't even thought of that....I'm going to make extra next time so I can make some wraps!! Yumm!! Thank you "Price Is Right" for the idea!! Don't know the restaraunt- but these sound good! Just made this tonight for dinner, it was SUPER yummy. My husband was impressed. Thank you! How many chicken strips are in the package because i got the big costco size? There are usually about 15-20 in the package we use. Thanks! So I tried the recipe and was wondering how I can make crispier chicken? I bought the breaded chicken, but it wasn't as crunchy as it is when I get it at a restaurant. I usually cook my chicken strips for the maximum time so they get as crispy as possible. I also put the sauce on right before serving. Thanks! I am in NY and have never heard of a Wingers, but after reading this post, there is no need to! These things were so simple and so amazing!! These will be a staple in my house on nights that I have no idea what to make!! OMG this is so yummy! thank you so much!!!!!!!!!!!!! This was so delicious and tasted legit! It really tastes just like the real thing. My husband and I could not get over how great this sauce it. I waited tables at Winger's for years through my undergrad, and ate more than my fair share of sauce in various ways. Now we live in Arkansas, and today the sticky finger craving hit. For date night tonight, we are whipping up a batch of this sauce, and I.cannot.wait. Also, this sauce will last for weeks in the fridge, in case anyone was wondering. Weeks. I have never heard of Wingers (I'm a Rhode Island Girl)...but I saw this recipe on Pinterest and I made it tonight for a party an it was a HUGE hit!! It'll be a regular in my recipe box from now on!! Made this the other night when I was craving some sticky fingers and didn't really want to spend the money for all of my family! Soooo yummy! Also passed it on to my sister! She loved it! Huge hit! Any ideas on the batter for the 'bone-in' version? i have made these several time and use the Frank's sauce. Delicious and so easy. We just dip the chicken in the sauce instead of coating the chicken. The sauce saves well in the frig. I made these last night for an easy Friday night dinner for my husband and 3 boys. They were so good, and so easy I will be making these all the time!! I am so happy I found this recipe thanks for posting it! It is sold at most grocery stores. Wal Mart sells it. Went to the University of Idaho in Moscow, Id and Wingers was the highlight of the community. Def tried this recipe last year and re did it this time i either deep fry chicken wings or put them in my smoker then saute in the reduced wingers sauce. bomb! These would work great with chicken wings too! I'm originally from New Hampshire so never had this sauce but I was looking for something sweet and spicy. 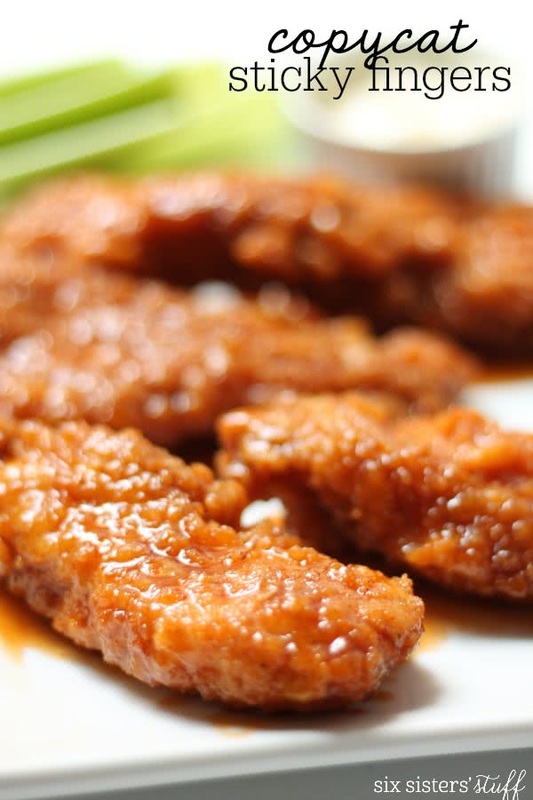 I love crispy bone-in wings and this sauce was PERFECTION! Thank you! BETTER YET WE BOTH PREFER CHICKEN WINGS WITH BONE-IN. HOW ABOUT A GOOD RECIPE? NEED RECIPE TO MAKE CHICKEN WINGS WITH BONE-IN.